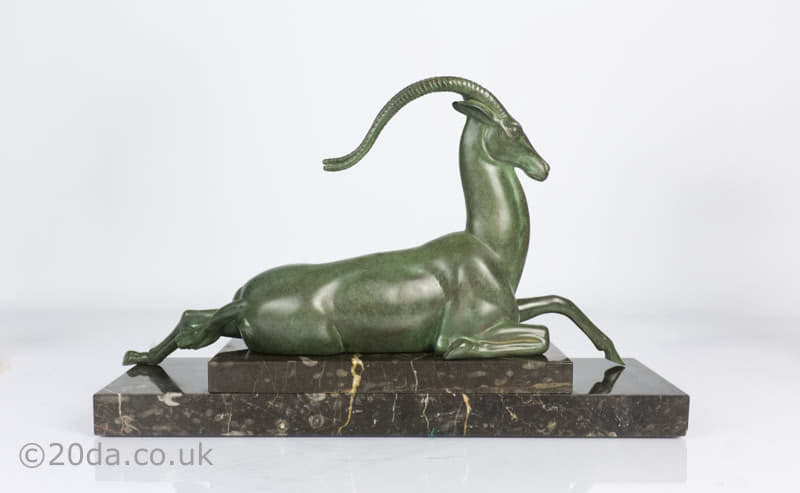 Pierre Le Faguays - An Art Deco spelter statue of a gazelle (part of the sculpture entitled "Seduction") France 1930s, in original dark green finish on a brown marble base. 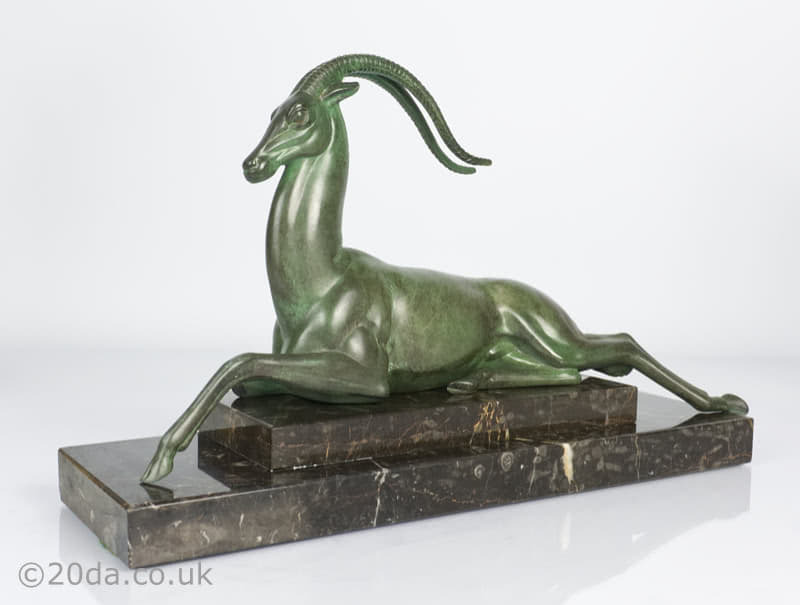 Edited by the famous Max Le Verrier foundry in Paris, this sculpture was designed by Pierre Le Faguays using the pseudonym Fayral. 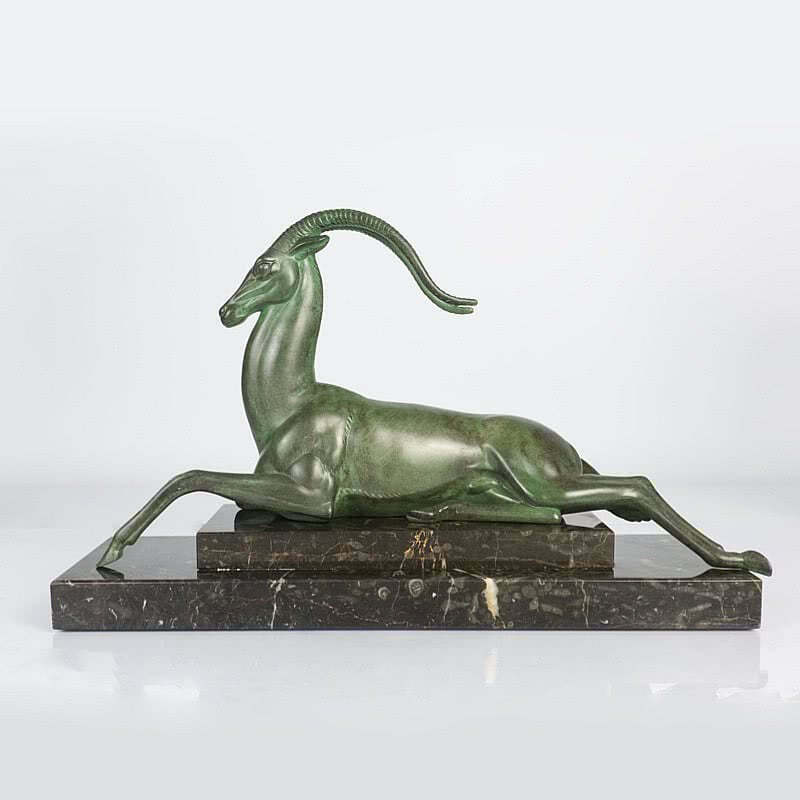 Max Le Verrier edited all white metal works by Le Faguays, which are signed both Fayral or Le Faguays.